Passengers on Southeastern trains will be hit by fare rises of up to 12% after a month in which around a third of all scheduled trains were either late or cancelled altogether. Performance figures for mid-November to December show that 29 per cent of all Southeastern "Metro" services running through Kidbrooke were at least five minutes late or cancelled. Southeastern's rises are reportedly the highest of any train operating company in the UK, and come after a month in which whole branch lines were closed, and customers were left stranded on freezing trains for hours on end. Worse than the poor performance has been the almost total lack of information given to passengers at stations and their point blank refusal to deal with local media. The company claim that the fare rises are needed to pay for the so-called Javelin high speed service, a service that most Southeastern passengers receive little or no benefit from. They also come as Transport for London impose their own massive fare rises, although at least with TfL passengers can see visible improvements being made to the service. However, when it comes to Southeastern, we seem destined to continue paying the highest prices for the worst service. The Kidbrooke Kite has been on my to-do list for a while. 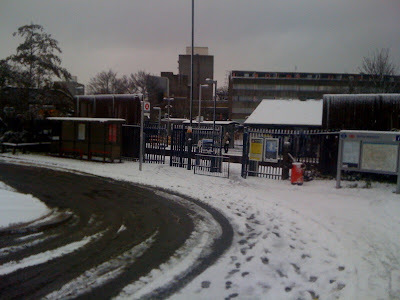 The work of Top London Blogger Adam Bienkov it gathers news from "Kidbrooke, Eltham West, the Ferrier Estate and beyond." In October it posted at length on the sad tale of the Ferrier, seemingly a classic tale of a regeneration scheme that has in some ways produced more pain than gain. Great work. Read more here. Dave's blog is an essential read for anyone interested in London politics. You can also sign up to his weekly newsletter over here. Greenwich Council: too busy to fight the cuts? In the week that the government dished out huge cuts to council budgets in London you might have expected Greenwich Council to be keen to speak out. But in a joint letter sent to the Evening Standard today Cllr Chris Roberts was the only Labour council leader not to attach their name. I thought this was rather strange given his joke at Wednesday's council meeting about the coalition cuts forcing his mother to burn a book to stay warm. So I phoned up Labour HQ to ask what had happened. They told me that it was a "fluid" list and that Roberts was probably "too busy dealing with the cuts" to answer in time. However they told me that they had just received a text message from him saying that he was okay with the letter, albeit too late for him to be included on the published list. So what took Councillor Roberts so long? Was it a deliberate shunning of Labour's Mayoral candidate Ken Livingstone with whom he has never got on, or a simple oversight? And either way shouldn't he really have made the effort to sign the letter on time? Southeastern trains turned off and tuned out. It's been a grimmer than normal few days on Southeastern trains. Over the weekend the entire line from Blackheath to Dartford was closed for "essential maintenance" which finished just in time for a little bit of snow to bring the entire network to a grinding and shuddering halt. Rather than keep their cold and confused customers up to date, Southeastern decided to turn off all train information. And when I asked in the ticket office at Kidbrooke when the next train would arrive my question was quite literally shrugged off by the member of staff there. Bit of a tip here. If you ever need to find something out at Kidbrooke station it's best to ask Niall at the coffee stand instead. He gave me a full update of all the problems on the line that day including the tragic events at Slade Green and even managed to predict the arrival of the next train down to the minute. Still however bad things have been in Kidbrooke they're far worse on other parts of the Southeastern Network. The best advice for tonight is to avoid Southeastern altogether, but if you really do have to use them, then make sure you're off by 20.00 because trains will be finishing very early indeed. So there you go, another winter, another totally shambolic and unaccountable service provided by Southeastern. Are there any politicians willing to do something about it? I'd wager there's a few votes in it somewhere. “Back in January during the two days of snow Southeastern passengers faced a double whammy of a much reduced train service combined with an appalling lack of useful information being provided by the train company. “Almost a year later it seems Southeastern have failed to actually implement any improvements in communicating with their passengers. Southeastern even accept that they need to make many improvements in how they communicate. Clearly their planned improvements have also faced delays on the line. “If Southeastern cannot maintain a full train service at the very least it must keep its passengers fully updated about the reduced service they are currently providing, starting with far more accurate and useful information being provided on their website. "In addition there are simply no excuses for any station not keeping its passengers fully updated. At a time of such a disrupted service it is vital that information is continually made available via electronic boards and audible announcements at every station"
Greenwich Council have been criticised by a tenants watchdog for failing to properly communicate with residents being evicted from the Ferrier Estate. "we feel that any uncertainties and distress for tenants that have arisen could have been mitigated by earlier and clearer communication and action [from Greenwich Council]"
Housing association Southern Housing Group were also criticised for "serious administrative errors" which resulted in "incorrect and inconsistent" information being issued to tenants. The correspondence seen by the Kite reveals that Greenwich Council have "accelerated" their eviction process in the last year as a result of funding pressures. "LBG has acknowledged to us that it has accelerated the decant programme in the period since June 2010, in line with a cabinet decision to complete the decanting of the estate by October 2011. The decision reflected the council’s concerns about the implications for health, safety of those residents remaining in occupation of increasingly empty vacant blocks. It also took into consideration the cost of maintaining adequate services to the estate and its diminishing population within the wider economic background." The TSA judged that Greenwich Council had not breached any regulations but added that there were "important lessons to be learnt from this experience." They have told the council to review their eviction plans and to draw up a "clear timetable" of evictions in consultation with residents. Of the 31 tenants currently being taken to court, the TSA state that any attempt to recover court costs from them would constitute a "disappointing failure" on Greenwich Council's part. Last week the leader of Greenwich Council responded to the report by saying that they have been "too tolerant" of residents. Andy Murray vs Raphael Nadal - Where's the legacy? Those of you lucky enough to head down to the O2 today will get to see a World class British sportsman playing in the finals of a major international tournament held in our very own borough. What an opportunity for Greenwich! Surely the council have secured a major Olympic-style legacy from these games? The tennis courts on Kidbrooke Green have been left to rot for years now and no amount of World class tennis tournaments taking place down the road seem to have any affect. The Council did draft a plan two years ago to have the courts either re-laid or "developed for alternative visitor and community facilities." But two years have passed and the only sign the council are even aware the courts still exist is this brief message from the council dogwatchers. No dogs allowed. And no tennis allowed either. Greenwich Council leader Chris Roberts said today that residents of the Ferrier Estate have a "stigma" attached to them and that the council has been "too tolerant" towards them through the eviction process. Which is a pretty extraordinary statement for a politician to make about their constituents at the best of times let alone when they are being evicted from their homes. Talk about adding insult to injury. "We feel any uncertainties and distress for tenants that have arisen could have been mitigated by earlier and clearer action." I've since contacted the TSA asking to have a look at the full ruling but apparently it is confidential. Hopefully the complainants can send me a copy at the usual address. "Greenwich Council has been accused of “bullying tactics” after 29 households were threatened with court action if they do not vacate their homes. The court orders were delivered last week to families in the Ferrier Estate’s Gallus Square area, giving them a Woolwich County Court date of November 16 and threatening to hit them with the council’s legal costs." It's a balanced in-depth piece of journalism, expanding on the ground we've covered here, and is exactly the kind of thing a local paper should be doing. 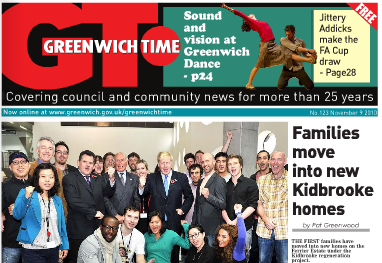 According to Greenwich Time, the new homes built beside Sutcliffe Park "means Greenwich is playing a key role in helping to reduce the chronic shortage of family homes in this country." Although for some reason the council's "key role" in turfing out another 29 families from their family homes doesn't warrant a single mention. It's also unclear to me why the new homes are suddenly front page news when people moved into them some time ago. It couldn't just be to counter the growing bad press about the evictions could it? All of which makes me think that the paper's imminent demise cannot come soon enough. I've written more on the many problems facing the Ferrier development over at my other blog. 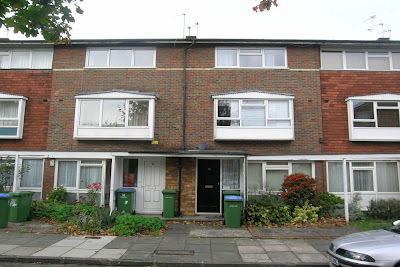 I have lived on the Ferrier since 1975 have always paid a full rent and not in rent arrears. When we were first told about the demolition of the estate we said we would to go in the new property's and they agreed. This year my wife has been undergoing chemotherapy and also had a replacement hip in august. One of the council employee's visited us about 4 weeks ago and told us that we would have to go in temporary accommodation which we agreed with. Me and my wife come back from the hospital today and have a letter from the council saying they are going to take us to court and evict us we have gone along with the council all the way and this is how they treat us. We have not been offered or turned any offers of over property down. It's a worrying tale and one which bears a striking similarity to those reported by the BBC last month. According to the BBC a complaint was referred to the Tenant Services Authority which promised to make a judgement on Greenwich Council's behaviour by "the end of October." Well the end of October has come and gone and I've jut got off the phone to the TSA. A man with a rather sad sounding voice told me that the press team were out of the office "for the next two days at least" while they finalised restructuring the organisation. Restructuring? Ah yes it seems that the TSA is to be thrown on the bonfire of the quangos by the government, with it's duties either being transferred or scrapped. Unable to speak to the possibly defunct press team, I asked the sad-sounding man whether the investigation into Greenwich Council's treatment of Ferrier residents had been completed. He said that he was pretty sure it hadn't and that even *if* it were to be finished in the future the results may not be made public. It's not a terribly encouraging sign and suggests that criticisms of the organisation made by the Tories and the Murdoch press may have at least some justification. But without the TSA in place, and with Greenwich Council ignoring them as well, what hope have the soon to be evicted Ferrier residents of getting their voices heard? Are you a resident on the Estate? Would you like to speak out about your treatment by the Council? Please leave a comment or get in touch here. Latter phases of the Kidbrooke regeneration could be delayed or not go ahead at all following cuts to affordable housing, experts have warned. The chancellor announced last month that subsidies for affordable housing would be cut by 50%. In order to keep building new homes viable the government said that social rents would be allowed to rise to 80% of the normal rate. However tenants at the Ferrier Estate have been promised new housing at the same rent as before, which could make building these new homes not cost effective. "Housebuilders and the [Chartered Institute of Housing] have expressed concerns about the ability of large estate regeneration projects, such as Elephant & Castle in Southwark, Kidbrooke in Greenwich and Park Hill in Sheffield, to proceed. Previous tenants had been promised new homes at the same rent, but lower government subsidy may make this unviable." Berkeley Homes recently admitted that land intended for the latter phases of the Kidbrooke regeneration had been placed into its "land bank" because of uncertainty over its future. On page ten of their annual report they state that it is now in the "long-term pipeline" because "the development outcome is uncertain due to planning policy, viability or issues surrounding vacant possession." Just last week, the Council admitted that funding for the next phase of the regeneration was under threat due to delays in re-housing residents. Now it's clear that the later phases of the regeneration could be at risk altogether. As documented by this site, large sections of the Ferrier were left as partial ruins earlier this year with little apparent rebuilding taking place since. The council admit that they will lose £21 million in government funding if residents are not evicted and development has not begun by March next year. "The Labour Council is now so far behind schedule it is hurrying through the eviction of tenants before the end of the financial year to ensure government funding remains in place. Labour has mishandled this process from the very beginning and now we find that the demolition appears to be simply a charade to suggest work has started when in fact no rebuilding is taking place." The remaining residents on the Ferrier Estate have also hit out at Greenwich Council, saying that they are receiving eviction notices despite no alternative accommodation being in place. "I would urge Cllr Drury to visit the site and see the excellent new homes that are being built. Not only are many of them completed but residents have already moved in and are delighted with their new homes. "The Council has given planning approval for the next phases of development , and we are well advanced with rehousing the remaining residents so that the next phases of construction can get underway soon. "We have had a specific deadline imposed on us by the Government to start work on an extra care scheme that will provide housing and support for 170 households aged 55 and over. The Government has threatened to withdraw a £21m grant for this scheme if work does not begin by the end of March 2011. As a result of the Government's refusal to roll this grant into next year, we have had to issue legal Notices to a number of remaining tenants. Every tenant will be given at least two offers suitable for their needs - with repossession only to be used as a very last resort." Are you still living on the Ferrier Estate? If so, please leave your thoughts in the comments or email us via this address. Just down the road from Kidbrooke is Lee Green, centred on the crossroads. Blighted by cross-channel traffic, the 1960s-era Leegate shopping centre and a poorly-positioned Sainsbury’s, it will never match the village ambience of neighbouring Blackheath but does have a number of attractive restaurants worth visiting. The most popular of these is Villa Moura, a Portuguese restaurant that serves hearty fish dishes in a friendly, homely atmosphere. Nearby is a rather excellent Thai - Ratchada, a long-serving Greek Restaurant- and the new arrival, Ristorante Carola. I went to Carola for the first time last week in the hope that it can match the standard set by its near-neighbours. The new restaurant has turned what was the rather bleak closed-down post office building into a bright, bustling space. So it was with hope and expectation that I went in. It was a Saturday night and full. A mixed crowd: someone celebrating their 50th, an older couple, a pair of young blokes on their way through to something more exciting. 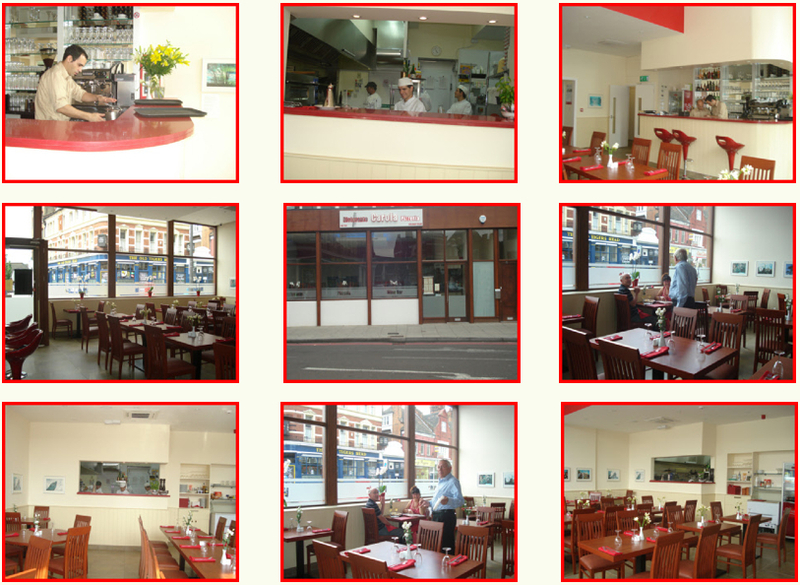 A local Italian restaurant should do a number of things well – it should be friendly and noisy, while the food should be tasty and straightforward. Carola’s canteen-style restaurant space, combined with an open-plan kitchen, means it had a welcome buzz, and the service was attentive but not excessive. The house red was excellent, and the starter - a cheesy garlic bread - was the best I’ve had for some time. Onto the mains, I went slightly off-piste and ordered a paella. It was good but not great. My dining partner went even further off-piste and ordered an Asian-style seafood course. This was less of a success, and carried an all-pervasive taste of Worcestershire sauce, while the tomato sauce seemed to be just a few chopped tomatoes. Fortunately, they knew how to serve a big cheesecake, and were more than happy to offer to take the offending main course off our bill. Overall I left impressed with our new local, and pleased we only had a short walk to get home. Tom is a journalist who's lived in south-east London for most of the last decade. Blackheath Fireworks: Lewisham Council needs you! 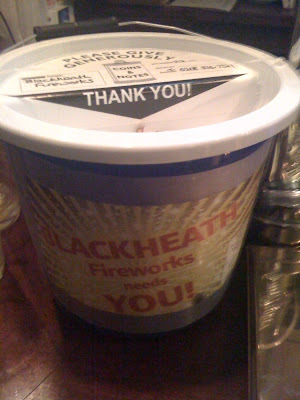 BLACKHEATH Fireworks needs YOU! reads the sign although a little symbol hidden around the side revealed that it's actually LEWISHAM COUNCIL that needs YOU! I was aware that Greenwich had pulled their share of funding for the event, and that Lewisham were now asking for donations and selling VIP tickets to pay for theirs. 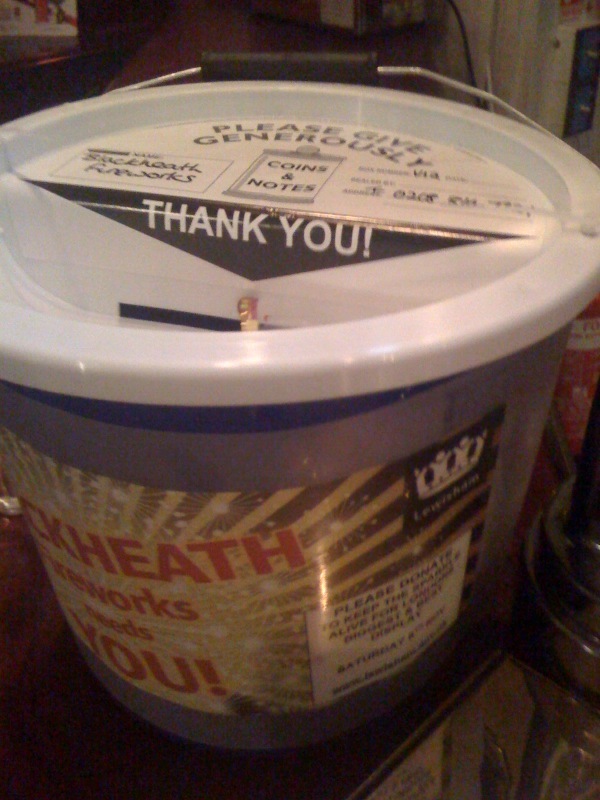 But to actually dish out what looks like charity buckets is going just a step too far in my opinion. Personally I think the fireworks display is a great event that brings masses of people out onto the heath and boosts trade. But either Lewisham think they should be funding it out of council tax or they don't. And if they don't then they should just be honest about it rather than pretending that a few tossed pennies in the Hare and Billet will foot the bill. "This year, Mr Johnson has also decided to make savings on the New Year fireworks display. The display has been reduced from 10 minutes to seven and a half minutes, costing £325,000 instead of the £500,000 of last year. City Hall is also considering moving it to the Olympic Park in east London because security would be cheaper than in the centre of the capital." 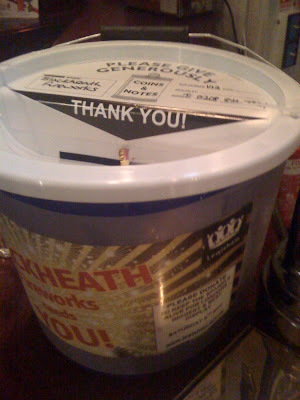 Out of interest I had a little shake of the bucket before I left the pub last night. I reckon there was about half a dozen coins in there. I don't think next year's will be much of a display. 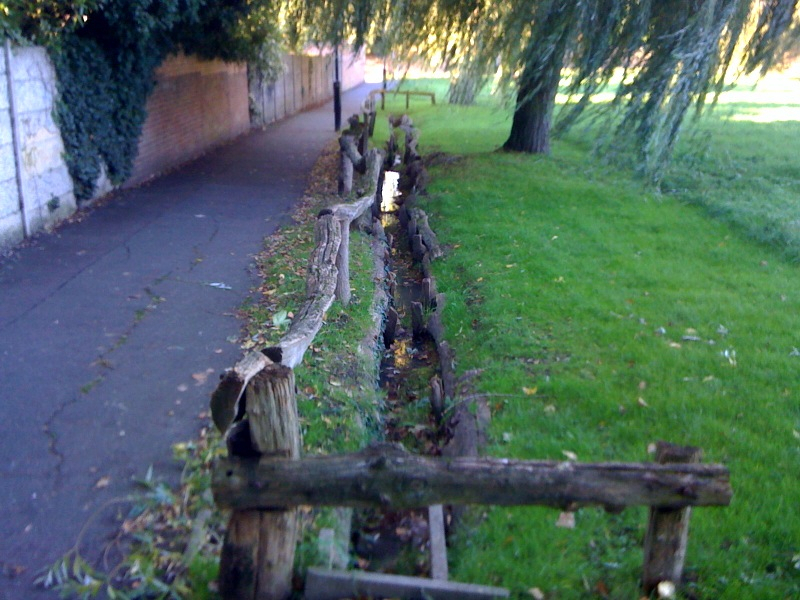 And amidst the local history books I found a short passage locating the Middle Kid Brook as still running openly through Thomas Tallis school. The construction work you can see in the background is part of the now-aborted Building Schools for the Future Programme. Several other schools in the area were due to be rebuilt but a combination of council dithering and Government austerity now means that most won't. However as you can see the new building lies very close to the brook which apparently leaves it at significant risk of a (once in a 100 years flood). In order to counter this the developers will have to build a "flood storage area" whatever that is. Still I'm glad to see that the Middle Kid Brook is being maintained and will still run openly through at least some of the area. In the coming weeks I'll be trying to track down the other lost remains of the Kid Brooks. All help still gratefully received. Plans to redevelop the derelict Coronet Cinema in Eltham have been revealed in full to the Kidbrooke Kite. The listed site which has been empty since 2000 will be converted into a "mixed use" development comprising new shops, a restaurant, affordable housing (and here's the good news) a new cinema. The project is being constructed in three phases and should be completed by December 2011. Twenty-two new flats and a small Tescos are already being constructed in the land adjoining the cinema on Well Hall road and should be completed by June next year. The second phase will involve demolishing the shops immediately adjacent to the cinema in order to build even more flats and shops. The old cinema auditorium and foyer will also be demolished although the external shell will remain. Once all that has been completed a new restaurant and small cinema will be built within the remaining shell. 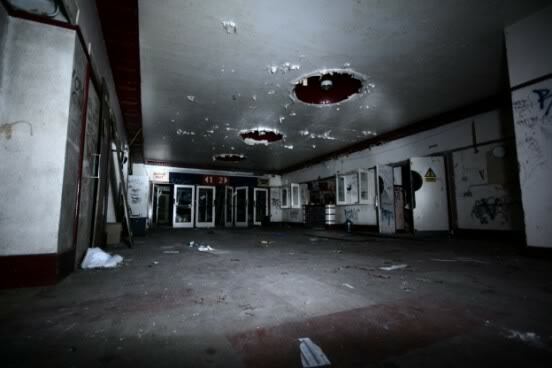 The precise locations of these has not yet been agreed although the developers are currently considering housing the cinema in what is now the foyer. Plans to lease the cinema to Greenwich University are also under discussion but I understand that whatever happens it will be open to the public for at least part of the week. The news brings to an end a decade of speculation about the site which has seen reported plans for a bowling alley and children's centre all fall by the wayside. In fact speculation became so intense that 1,387 people have so far been fooled into joining the "petition against turning the coronet cinema, eltham, into a mosque" Facebook group. No such plans have ever existed. 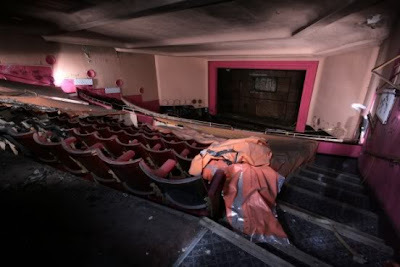 Updates on the project should hopefully be posted to the Coronet Cinema website in the coming year, and we'll be keeping a close eye on it here at the Kite. So what do you think? Are you pleased that a new cinema is finally coming to Eltham / Kidbrooke or do the plans fail to live up to your hopes for the site? 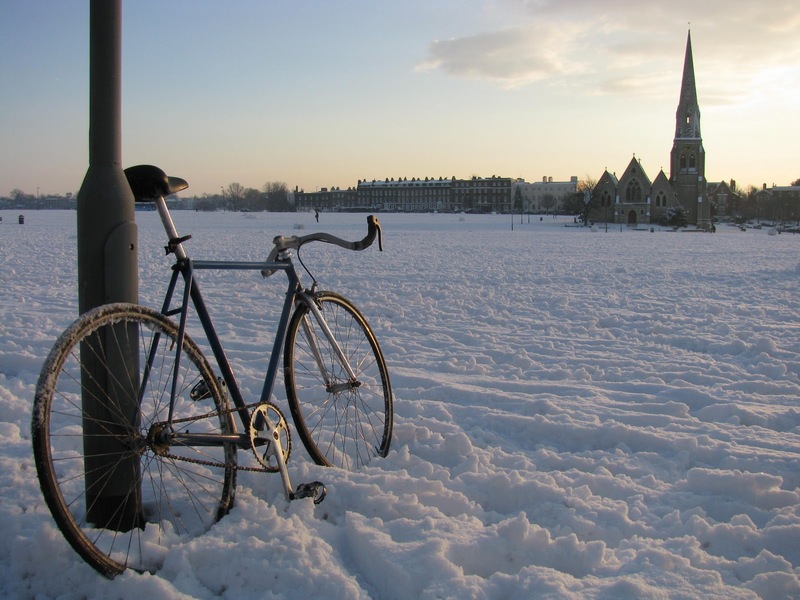 However, for those of us that bike regularly, switching to the train often seems the worse option – standing on cold platforms to battle for a tiny space on a regularly delayed train is hardly an attractive prospect. The transport authorities agree and are spending tens of millions of pounds on schemes to encourage you, dear commuter, to jump on your bike. So, what are your options? "The Council is unable to provide the documentation you requested as there is no initiative involving a dog watch van." 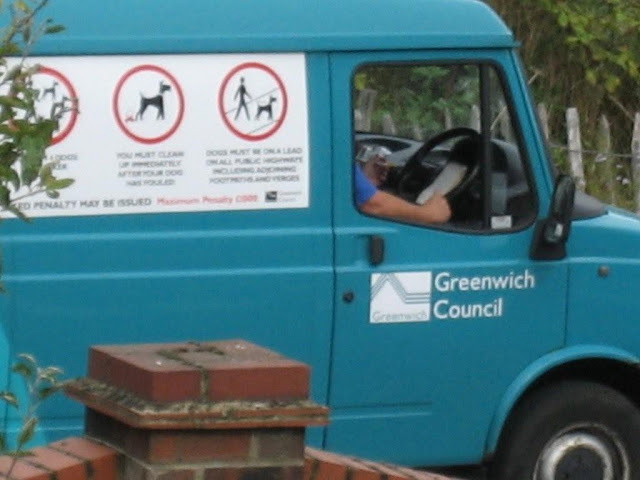 "The vehicle in the picture you provided was previously the Council Dog Warden Vehicle and was used by the Dog Warden to fulfil the Council's statutory obligation of collecting stray dogs. Due to changes in service provision the vehicle is no longer used for this purpose." Right, so it's no longer used for collecting stray dogs. What about enforcing the dog control notices they've plastered across the borough? "The Dog Warden Service has never had any enforcement role in relation to the Dog Control Orders in force within Greenwich. However during 2009 it was considered acceptable that the vehicle displayed signage informing the public of the Orders as a method of promoting responsible dog ownership. The vehicle is still periodically used at dog promotion events and is still equipped to carry dogs; however as previously stated it does not have a role in the enforcement of Greenwich Council's Dog Control Orders." So it was once a dog warden vehicle but now it's not? And it carries dog control order notices but the officers have absolutely no powers to enforce them? So what exactly is the point of this van and what are these "dog promotion events" they've been attending to on Kidbrooke Green? What will happen to the Ferrier Library? Plans across SE London to shut down libraries and cut their services have caused campaign groups to be formed and protests to be held. However here in Kidbrooke our local library is set to close without so much as a whisper. The Ferrier Library will be demolished as part of the Kidbrooke regeneration and so far no announcement has been made about a replacement. So while plans for a new station, supermarket and health centre have been confirmed, the library remains totally in limbo. I went down to talk to the staff there and they told me that while they're optimistic that a replacement library will be built, "nothing is set in stone." Hoping for some clarity I contacted Greenwich Council to ask what their plans were and I was told simply that: "no decisions have been taken in respect of the Ferrier Library." Pushing them further, as to when those decisions would be made, I was told that there was "no specific decision timetable as yet." So will Kidbrooke lose it's only library at the same time as thousands more families move into the area? Unfortunately Greenwich Council aren't willing to say. Is this the source of Kidbrooke's lost brook? Following on from Diamond Geezer's fascinating lost rivers of London series I'm setting out to trace the sources and routes of Kidbrooke's own three lost waterways: the Lower, Middle and Upper Kid Brooks. These tributaries to the River Quaggy were largely buried underground when Kidbrooke was developed in the 1930s and their precise locations are no longer noted on modern maps. However, at the eastern end of Broad Walk, just by Greenwich Cemetery lies a short stretch of running water beside a willow tree. Most issues on the estate are fairly predictable - a little low-level crime, a bit of fly-tipping and an excess of wheelie bins – but in recent years a growing number of residents have been hit by massive and unexpected bills to extend their leases. In response, last year a group of residents came together and formed the ‘Mosquito Group’ to help educate other residents of their rights, and to try to push back against the increasing costs of lease extensions. The cost of extensions has gone up partly because freeholders - who leaseholders must pay to extend their lease - have won a number of legal cases about how the price is calculated. But if leaseholders choose not to extend, or cannot afford to, they risk being stuck in a property rapidly shrinking in value, or face having to pay a far higher price to extend the lease at a later date. Costs rise more rapidly when a lease is less than 80 years, because then the leaseholder has to pay a share of the “marriage value”, a form of compensation to the freeholder. On the Courtlands Estate the original leases were of 99 years, meaning many properties today have leases of just 49 or 50 years. As the lease gets shorter, so the cost of extending it rises. Today, the cost of extending a lease on the Courtlands is around £25,000; 10 years ago it may have been half that figure. Spurred on by the Mosquito Group, many Courtlands residents are now in the process of extending their leases. By acting together, using the same valuers and solicitors, and sharing information and expertise, they have successfully presented a united front to the freeholder’s agents, who they must negotiate with. But not everyone has tens of thousands of pounds to extend their lease. Many residents - some of whom have lived on her estate since it was built 50 years ago - are at risk of being stuck in an unsellable property. The price of an extension will continue to rise as leases get shorter, and so the value of the properties with a short lease will continue to decline. Local estate agents say flats on the estate have been changing hands at around £190,000 with leases of 90 years or more, but at less than £140,000 with the 50-year leases many now have. Part of the reason for this difference is that mortgage lenders are very reluctant to extend good terms to properties with short leases, and will usually limit the amount that can be borrowed, and restrict mortgages to interest-only rather than capital repayment. Further hurdles remain. Leaseholders that can afford to extend their lease can find themselves at the mercy of freeholders, who have a strong interest in throwing up obstacles, to delay the process, and so push up the price of the lease extension. Freeholders can also try to profit from overcharging for legal and valuation fees, which leaseholders must pay. One leaseholder on the Courtlands Estate took more than two years to agree a price for her extension, but she had to pay the freeholders’ agents thousands of pounds in fees on top of the £26,000 cost of the extension. She was particularly angered by having to pay the agents for the same survey to be conducted twice - at a cost of more than £1,000, as well as £400 ‘travel fees’ to south-east London from Chelsea. If anyone on the Courtlands Estate wishes to contact the Mosquito Group for more information about lease extensions, please contact this blog and we’ll pass on the details. I've just been down at Kidbrooke Station talking to the owner of the new(ish) coffee kiosk on platform one. The kiosk is a great addition, which makes the station feel like a much friendlier place, but the Kite can reveal that it almost didn't come to Kidbrooke at all. In fact the owner Niall only moved into the station in April after waiting a staggering four years to get permission from Southeastern. The main sticking point was his wish to buy a kiosk from his own preferred supplier rather than the one preferred by the train operators. This was a point he eventually won, but only after four years in which he had to start and re-start his application several times over as five separate management agents left the job. He was eventually allowed onto the platform, but it does seem amazing that Southeastern would make life so difficult for somebody who they should have been giving the red carpet treatment to. While we were talking a camera-wielding representative from Berkeley Homes, who are rebuilding the area, came over and asked if Niall could help them get in touch with the station manager. It seems that communication with Southeastern, even for somebody rebuilding one of their stations, is not a simple task. The man from Berekley Homes told me that before the new Kidbrooke Square is built, the station approach is going to undergo an interim "smartening up" with new retail outlets being put in. 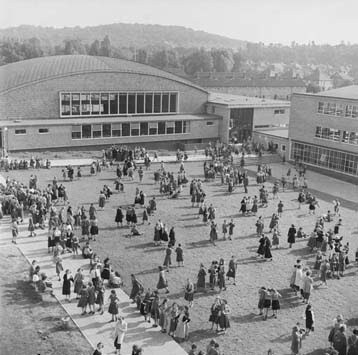 Top South East London blog Transpontine has posted a fascinating (and topical) history of the tensions surrounding the creation of Kidbrooke school, London's first ever comprehensive. I'm looking to post more on Kidbrooke's history in the coming weeks. The history and route of the Kid Brooks. Rochester Way and the building of modern Kidbrooke. Kidbrooke Green and the Nature Reserve. The RAF base and balloon barrage. So if anybody has an interesting angle on these or any other part of our history that they'd like to contribute to the Kite, then please do get in touch. Can Kidbrooke cope with an extra 2500 homes? When the Ferrier Estate is finally demolished it will be replaced by over twice as many homes as currently stand there. 1900 old homes will be replaced by 4400 new homes. A huge increase. In order to do this, a significant amount of Metropolitan Open Land will be concreted over and many new residents will have to live in far closer proximity than the old ones did. New commercial sites are also proposed including a new supermarket and other shops by Kidbrooke station. This will all put huge strains on an already crowded public transport network and has caused a lot of objections to the project. 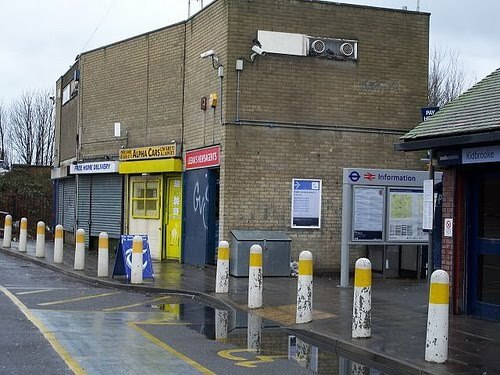 To counter this a new train and bus station is planned at Kidbrooke as part of the development. However, amidst the evidence submitted to the council, I found this neat summary of the deficiencies of our existing "transport hub"
However, the plans for a new station could solve many of these problems. Under the plans Henley's Cross bus exchange will be shifted south of the railway line and integrated both into the station and the estate. There will be a new ticket office and the whole area will be raised to the same level to form a new "Kidbrooke Square"
Housing will surround both sides of the station, and the whole area should lose the intimidating ghost town feel it currently has. But even if all of that is successful that still leaves an extra 2500 households using the same roads, and the same station on the same line, with the same number of trains. So can Kidbrooke cope with such rapid growth over such a short period? Please let me know what you think in the comments or get in touch. 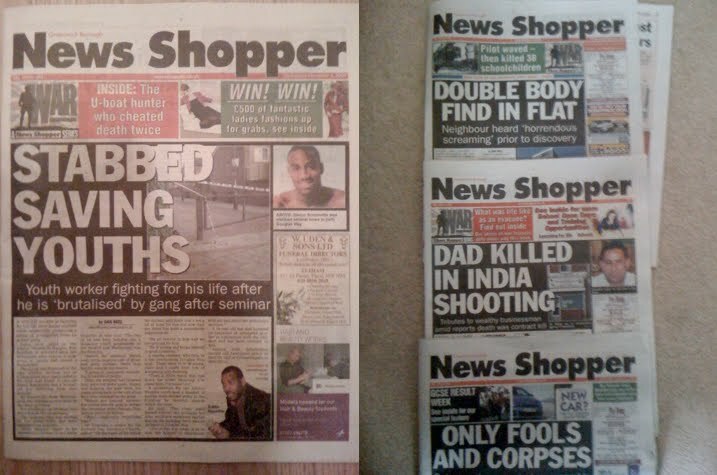 News Shopper calls Kidbrooke a "crime hotspot"
The main reason I started this website was because of the depressingly sparse coverage of Kidbrooke locally. "Like the surrounding area, this pub is very much in the eye of the storm, a respectable oasis with crime hotspots Lewisham and Kidbrooke just around the corner." In fact it's even lower than the London-wide average for burglary, drugs offences, robbery, theft, and violence against the person. Of course there was a time when the neighbouring Ferrier Estate was badly crime ridden, but even that seems to have quietened down since redevelopment began. So Kidbrooke may not be perfect but it's very far from being a "crime hotspot" either. Perhaps the News Shopper could venture out of their "respectable oasis" from time to time and come see for themselves. I took my first visit to the Copper Kettle Café on the Kidbrooke Parade yesterday and I wasn't disappointed. Run by a Turkish family, the place is usually busy with friendly staff who seem to be on first name terms with many of the customers. For my first time I ordered a bacon sandwich and coffee figuring these would be good benchmarks to judge the place on. The coffee was smooth and tasty and the bacon sandwich was made from thick slices of white bread and crispy bacon. It was also very reasonable costing just £2.10 for both. 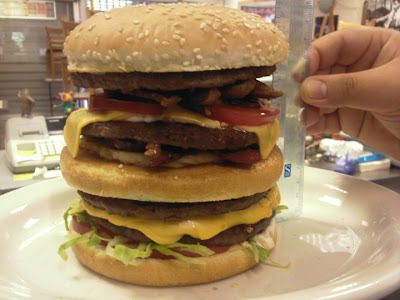 Other items on the menu included a turkish sausage panini which I may be tempted next time and the truly terrifying mega burger, which I won't! These monsters were a hot topic in the café when I visited yesterday. Unfortunately there doesn't seem to be a prize for finishing one, although arguably the resultant rise in social status would be worth it alone. So what do you think? Have you visited the Copper Kettle? Is there anywhere else in Kidbrooke I should try? 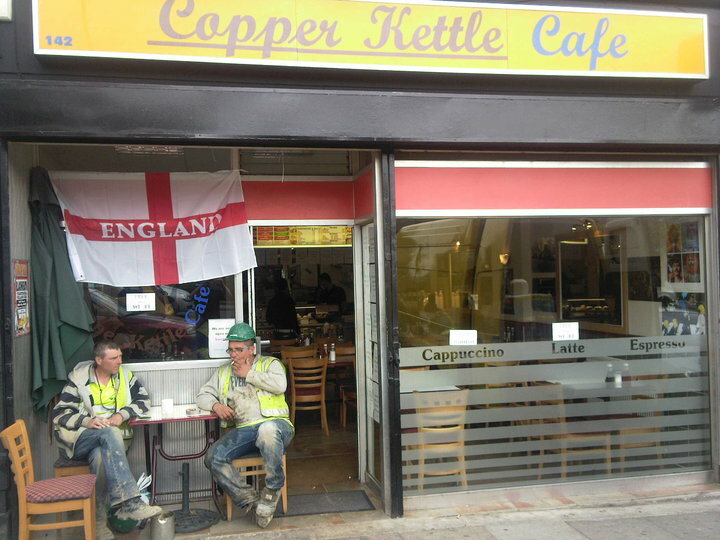 All pictures are from the Copper Café Facebook group which you can access via their free Wifi. I have to admit I'm one of those who question just what if any Olympic sporting legacy we'll see in Greenwich borough once Locog roll out of town. But it seems that here in Kidbrooke Green we may be getting at least one crumb falling from the Olympic cake. 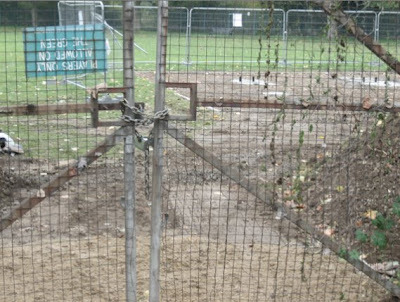 A few days ago Greenwich Council workers erected fencing in a corner of the green and started digging. Typically for Greenwich council, no signs were put up and locals weren't told what was happening. Nor can I find any mention of the development on the council website. 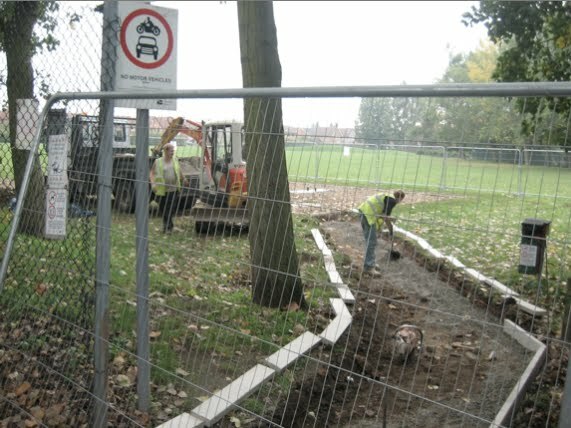 And it turns out they're constructing an "outdoor gym" in preparation for the Olympics, much like the ones already constructed in Charlton and Sutcliffe Parks. I've since spoken to the company behind it and they've told me that unlike the "Adizone" at Charlton Park, this one thankfully won't be smothered in Adidas sponsorship. They also said that Greenwich Council will be erecting even more of these gyms right across the borough in the run up to 2012. Now I'm unsure about these outdoor gyms. The one in Charlton Park does seem popular but I still think that childrens' playgrounds would be better used. I'm also not sure whether the 'legacy' will be cancelled out by the current plans to build on other green spaces across the borough (more of which another time). But all these gripes aside, the gym could be a welcome addition to what is at the moment a rather underused and ill-defined space. So what do you think? Do you welcome the spread of these outdoor gyms? I've spotted what I can only guess is some kind of dogwatch van loitering by Kidbrooke Green recently, although the driver couldn't actually see any dogs from behind that hedge. On the side are three sets of warning signs to dog owners: one against walking packs of dogs, one against leaving dog mess, and one against letting dogs off their lead. So does anyone know what these vans are for? -Update- Thanks to @vbloke in the comments for a close up of the three dog signs. I wonder why dogs suddenly become a problem when there's more than four of them.